When I fall in love with something, I make it into a game. And that comes out to quite a lot of games! With your generous support, I develop and publish a variety of roleplaying games -- sagas of swords-and-tragedy, epics of cosmic superheroes with divided loyalties, ballads of ridiculous criminals bonded by truest friendship, and so much more! I've released fifteen games so far, and six supplements for them. I look forward to many more! 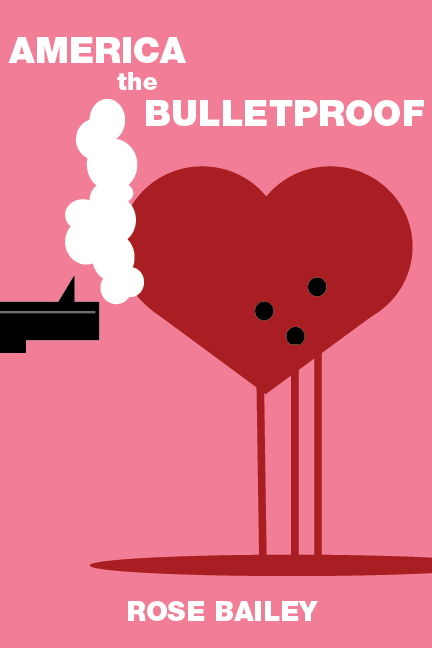 AMERICA THE BULLETPROOF, a ballad of bullets and BFFs, is OUT NOW! 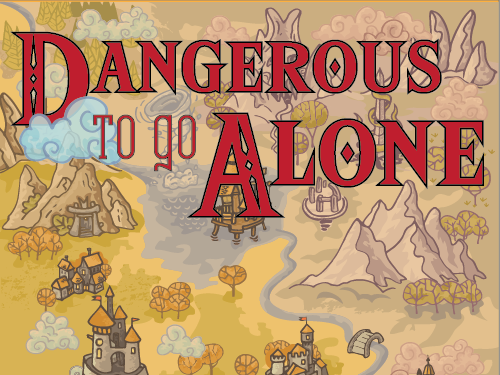 I've just released Dangerous to Go Alone, a game of 8-bit feels on a distant leaf of the world tree. Experience adventure, adulting, and action in an engine where your avatar isn't just a miniature, it's a die! 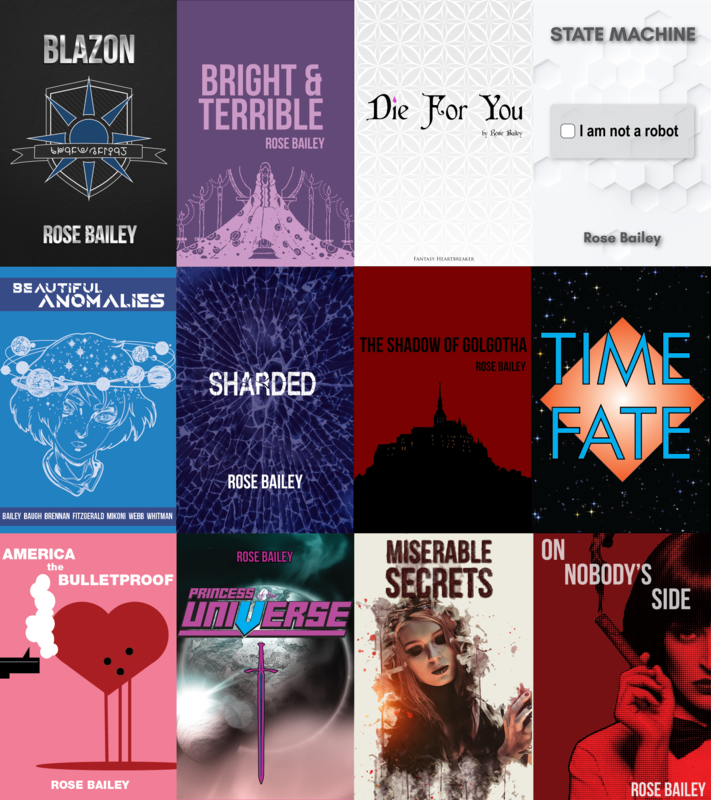 I'm Rose Bailey, game designer and writer. I've been working in games professionally for more than twelve years, writing or co-writing over a dozen roleplaying books. I was the longest-serving developer of White Wolf's Vampire, including its bestselling second edition. I also write original fiction, like the adventures of Sasha Witchblood, and my own creator-owned games, like Cavaliers of Mars. As a video game designer, I've worked on MMOs like EVE Online and The Elder Scrolls Online, and single-player games like Eye of the Kraken and The Walking Dead. I write games all the time! With your patronage, I can afford to polish and lay them out. In addition, with backing so far, I've been able to work with professional co-writers and improve the look and feel of my work. America the Bulletproof, the game of ridiculous crimes and lifesaving friendship. BLAZON, cosmic superheroes in a universe of Law and Chaos, inspired by Green Lantern and new wave fantasy. Bright & Terrible, a game of swords and tragedy in the style of Michael Moorcock's Elric and Tanith Lee's Flat Earth. One Weird Trick to Be a Hero, a game about heroic adventure in the gig economy and solving your problems in ridiculous ways. On Nobody's Side, a game of queer spies in the 60s... first burned, then brought back in with a License to Live! Princess of the Universe, queered up action figure fantasy. You'll receive my appreciation, and a "well-wisher" credit in any of my games over 5 pages. You'll receive PDFs of each of my games as they're finished! You'll also get exclusive access when I playtest new projects. And finally, you'll be credited as a "munificent patron" in any of my games over 5 pages. So far, I'm improvising cover art from bits and pieces each month, largely relying on Creative Commons pieces and art from Shutterstock. Sometimes, that means something beautiful. Other times... not so much. At this goal, I'll be able to afford professional artists and/or use Adobe Stock, opening up a lot of really gorgeous art. Depending on the month and project, this will also help me create more attractive interiors and components.